The latest reviewed version was checked on 2 March 2019. There are 4 pending changes awaiting review. Emoji are a modern pictographic invention used to provide greater context and emotional impact in text messages and other digital linguistical formats. (oleszkiewicz, eta, 289) Since the adoption of Emoji as an option onto the standard keyboards of wireless devices there use has risen exponentially in popularity; becoming a mainstay of communication across cultural and language barriers. (Poushter, PEW) Latest surveys show that over 90% of the world uses Emoji in some form of communication. (Thompson, wired) This rise of an every increasing homogenized global digital communication culture has given way to a new paradigm of questioning: is Emoji a universal language? From certain linguistically and cultural discipline this question has been answered as a definitive no. (Kerslake & Wegerif, 76-77) This is due to certain constrains of theory or disciplinary criteria that emoji are either not yet equipped to fulfill or by default do not have the applications to fill. This Universal Language question gets murky when those disciplines are removed from the equation. It can be argued that the chief goal of Emoji design is more pragmatically appropriate for discourse according to the modern strains of this particular philosophical discipline then a variety of other technology or technological linguistically innovation. This is because of emoji's very nature as a constructed language form and its somewhat regulated evolutionary nature; which is done by and controlled by a group of corporate entities. (Evans 27-28) This is counter to how traditional written language forms have organically evolved and been codified. (Robinson, 220-223) Emoji serves a function that it was implicitly designed to do; though possible not in the way it was designed to. Pragmatism being far more based in the end goal with a focus on logic, intention, and historical motivations sees emoji as a designed practical language system that fulfills the needs of users across cultural and linguistical borders. Emoji are general credited as being created by Japanese Telecommunication planner Shigetaka Kurita in 1999. (Moschini, 14). This is true in the broadest sense. Kurita was drawing from multiple sources of historical graphicly communication idioms to create these emojis; namely Kanji, Emoticons, and Manga. (Sternberg, 3) He all so drew from the universally recognized symbols design for international airports and other cross cultural signage such as those used in the 1964 Tokyo Olympics. (Evans, 157) While Kurita’s emoji Are similar to modern emoji they are from a visual perspective and contextually usage more of a proto emoji or template version. From the modern sense of Emoji usage these early attempts have more in common with the emoticon mode of visual communication. This is because of their technological simplicity of the graphic wireless systems that ran these first primitive emoji. These Emoji varied from Emoticons in design function. Kurita’s emoji where more associated with weather/ marketing tools visualization. (Molteni, Wired) The 8-bit Emoticons that laid the early graphic look of emojis had a slightly different communication idiom. Pragmatically This usage rise and the social norms around texting has given rise to question whether Emoji has becoming a global, universal language. There is some debate about the successfulness of this goal in action within various Linguistical and social science disciplines. (Danesi 181-184) Pragmatically; the view is a little more focused due to the general tenets of that philosophy or more appropriately that form of action. Pragmatism is a philosophy that was founded by Charles Peirce in the later part of the 18thcentury and really took off in the early part of the 20thcentury. (Thayer, 11) The major classical pragmatist that made up the core tenets and writings of this philosophy are Charles S. Peirce, George Herbert Mead, John Dewey, and William James. (Emirbayer & Maynard, 222) Pragmatism is an uniquely American invention or Uniquely American in its outlook. (Strube,182) that is stepped in Classical sophist inquiry. In many ways it could be more appropriately described as a reactionary movement to the philosophies circulating around Europe at the turn of the century; especially humanism. (Ormerod, 892-893) Pragmatism as a philosophy is a slight misnomer itself. Pragmatism is a verb not a noun. (Konvitz & Kennedy, 7) It’s not a proper name in the same way as some other philosophical theories; it is a mode of action. This in a nutshell defines Pragmatism and pragmatist-it is a philosophy of action; cause and effect. Pragmatism as laid out by it's founder Charles S. Peirce and by extension William James is a philosophy that more than being driven by the search for big “T “Truths is focused on the Practicality of making Ideas clear and focus on the practical effect; the means and to the practical ends (Thayer 25-27). This axiom is the core of the various flavors of pragmatism that followed to this day. Through the focused lens of Major traditional first wave pragmatic thinkers; Peirce, Mead, James, and especially Dewey would see emoji as a pragmatical universal language. This would be because they would discount what linguists would look for in a narrow language definition; such as form, punctuation and associated reductive grammaticism. Pragmatist would look at emoji in a more Socio-semiotic traditions. Socio-semiotic traditions can be distilled down to what people want to convey, the relationship between these communicators and what they want to communicate, and what vehicles of transmission that they use that are suitable to use to convey those ideas. this being meaning and form. (Moschini, 13-14) Basically intention, cause and effect. Emoji was designed with the overriding object to make a unilateral understood communication idiom that would be understood no matter what language you understand. ( Danesi 95). In practicality it has worked to those ends, even if not entirely as the creators intended, specifically related to emoji as an emotive tool (lucas, 14-15). This would be viewed from Peirce's perspective as a pragmatic fulfillment of the core idea. Along those lines Mead and Dewey will add more textual nuance to our discussion of emoji. George Mead would add additional layers of meaning to this basic definition buy adding a Social Psychology bent to his interpretation of Pragmatic ideas. He looked at pragmatism as a mode of social contract or order actions. Mead would codify for our discussion the logical social acts; that within two actions an act or as he terms a “gesture” that convenes a response and then refectory response vice versa (Thayer 338). This is a logical process at its most base. In context of emoji this would be the universal understood call/response of emoji transitions. There is a logical; universally understanding of how they work. While Mead came after James Dewey, Dewey is far more impactful when discussing Technology and how pragmatism works with in those confines. Especially Dewey whose writings are fundamental to discussing Technological pragmatism. 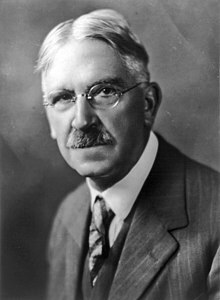 John Dewey is often used in pragmatic discussions associated with Technology, science and to some degree the greater span of educational theory. This is mainly because of his writings about consummatory experience and Instrumentalism. He integrated basic scientific practice in a way that moved forward pragmatism in different directions then before. Dewey theory of Instrumentalism states that that the value of scientific concepts and theories is determined not by whether they are literally true or correspond to reality in some sense, but by the extent to which they help to make accurate empirical predictions or to resolve conceptual problems. This was a break from previous scientific theories or more importantly scientific realism; that scientific theories and outcomes that leads to problem solving have more validity then trying to explain the natural world or the order of the natural world. This when taken in congruence with Dewey’s consummatory theorem provide a powerful tool to construct a view or method when approaching technology or in our example emoji. Dewey’s consummatory experience is basically the means to an ends argument of human behavior; specifically within the framework of objects or object experience (Mullis 111). Dewey looked at the logical order of human drive to complete tasks or experiences to the natural fulfillment. That the most appropriate action was the simplest given the histrionics and end goals of the principle that was acting toward those goals. Furthermore Dewey elaborated on this core concept in his work on Logic; propagating a common sense approach to scientific inquiry in the relation of situational contextually (Schaff 408). These concepts play well in the modern views of UX design and some related computer science applications. In our example of Emoji this plays into the user’s relationship with the pictograph then using that pictograph to convey the intended means. Direct liner cause to effect. When an emoji is sent there is an agreed alone or cultural implied communicative understanding. Filik, Ruth, Turcan, Alexandra, Thompson, Dominic, Harvey, Nicole, Davies, Harriet, and Turner, Amelia. “Sarcasm and Emoticons: Comprehension and Emotional Impact.” The Quarterly Journal Of Experimental Psychology: Vol 69 #11 2015, 2130-2146. Ormerod, R. “The History and Ideas of Pragmatism” Journal of Operational Reaserch Society (206) 57, 892-909. This page was last edited on 9 March 2019, at 20:06.